Dara O’Leary is a very experienced HR professional with expertise in best practice management support, employee relations, recruitment as well as training and development. Dara’s experience has given her interpersonal skills to manage challenging HR needs in a complex environment. 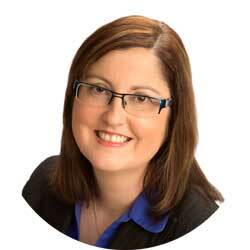 She has over 15 years’ experience in financial services and the Not for Profit Sector. She is CIPD qualified, has a BSc in Human Resource Management as well as qualifications in management, training and business. Her work experience is in the retail, leisure, financial services and not for profit sectors. Her specialist skills include the management of HR services, organisational change, merger integration activities and the application of Transfer of Undertakings legislation. She has specialised in HR Outsourcing for a number of years. Yvonne brings considerable experience of working in complex environments during periods of significant organisational change. She is a qualified mediator and workplace investigator with a number of HR qualifications including BA (HRM) and a Diploma in Mediation and Conflict Intervention. Tom was the only agreed independent assessor for over two decades in disputes arising from the various National Agreements under the auspices of the Labour Relations Commission, Labour Court and National Implementation Body, resolving issues and facilitating new agreements in work practices, resourcing levels and reward systems many in multiple unionised environments. He has also has acted as Decision Arbitrator for HIQA over the past five years. Joe Torpey has over twenty five years’ HR experience at the most senior levels of the IT sector which included working at HR Director level in Ireland, UK and for 9 years as the HR Director across the EMEA region for Intel. Joe has high level expertise in employment relations and employment law, talent management and the organisation and direction of change. He is particularly interested in they dynamics of employee engagement and the development of organisational capability. With Forde Joe specialises in consulting within the Education sector having gained a deep understanding of the private fee paying schools through assisting these schools in Ireland and the UK with a wide range of HR challenges including organisational capability and governance and the development and implementation of HR Policies and procedures. Joe holds a MSc in Organisational Behaviour from Trinity College. 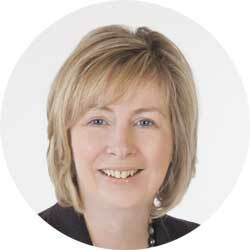 Suzanne has over 17 years’ HR and General Management experience in public sector and the non-profit in Ireland and overseas. She has held a variety of senior management roles in HR, mediation/ facilitation services, training, change management, communications, and strategic policy development. She worked for a number of years as an Industrial Relations Officer (IRO) at the Labour Relations Commission gaining significant experience of the wide range of employment conditions and structures in the private, public and Not for Profit sectors.